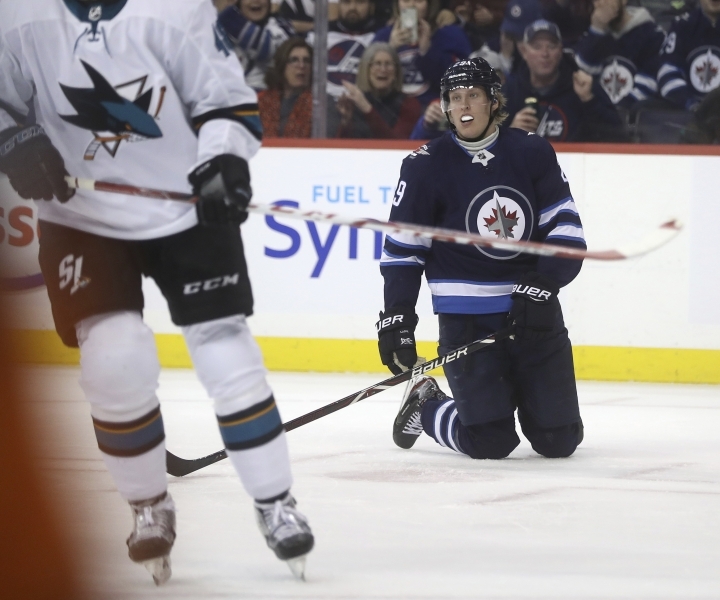 WINNIPEG, Manitoba — Joe Pavelski knows the San Jose Sharks caught a break at the right time. Burns passed the puck to Pavelski, who fired the winning shot over Connor Hellebuyck's glove at 2:49 of the extra period to give the Sharks a 3-2 victory. 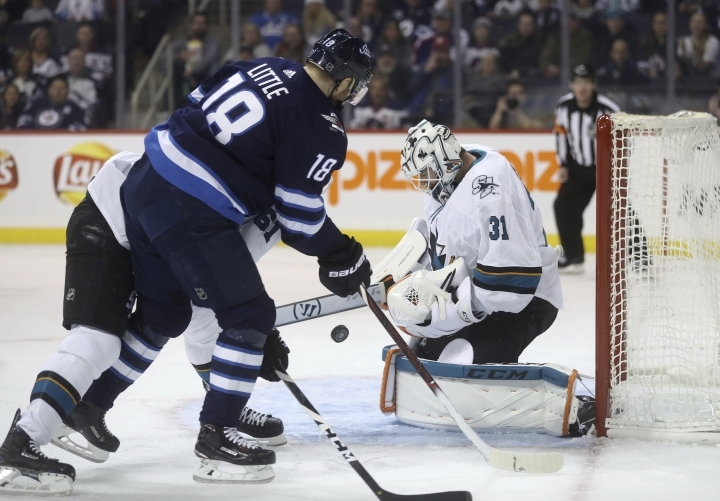 "We get a turnover on the (penalty kill) there in overtime and we were able to finally catch them," said Pavelski, who scored his 29th goal of the season and added an assist. Logan Couture and Marcus Sorensen also scored for San Jose. Couture extended his point streak to four games, with three goals and three assists. Kevin Labanc contributed a pair of assists and Martin Jones stopped 25 shots for the Sharks, who won their third straight to start a four-game trip. 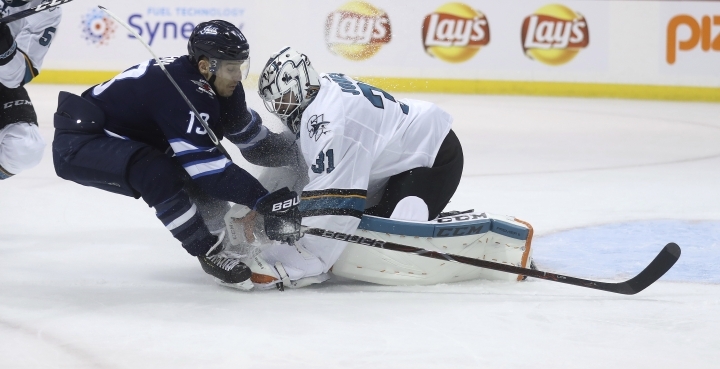 Blake Wheeler and Mathieu Perreault scored for the Jets, and Hellebuyck made 35 saves. Winnipeg had its three-game winning streak halted and its run of seven consecutive victories at home stopped. "(Hellebuyck) made some unbelievable saves tonight to give us a chance," Wheeler said. "That was a nice shot (by Pavelski)." 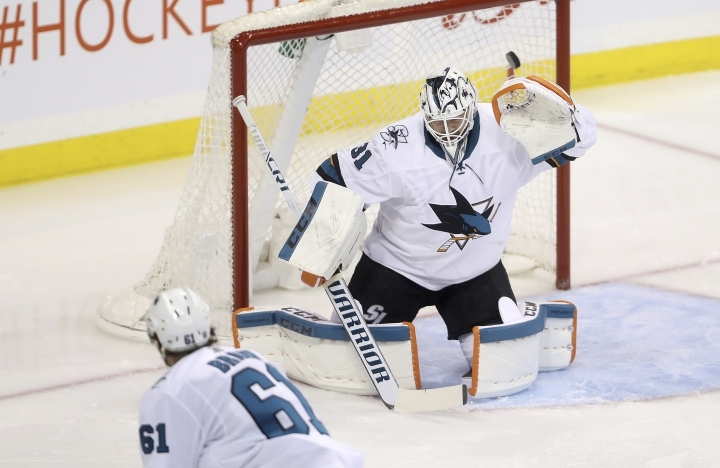 Sharks head coach Peter DeBoer had high praise for the winning play. "The pass Burnsy gave to Pavelski was world class, and it was a rocket," DeBoer said. "And the way Pav handled it and stuck it in the net was world class, so that's what great players do." Winnipeg had a power-play goal by Mark Scheifele wiped out midway through the second after Boer successfully challenged for offside. It would have given Winnipeg a 3-1 lead. "Obviously, getting the goal called back hurt," Wheeler said. "That's the difference in the game right there." Perreault's 11th goal of the season, and 300th NHL point, gave Winnipeg the 2-1 lead 52 seconds into the second. Tyler Myers picked up an assist, extending his point streak to four games, with one goal and three assists. Sorensen's 11th of the season tied it at 2:35 of the third when he flipped a puck bouncing in the crease into the net. Winnipeg got its fourth man advantage with 1:35 remaining in regulation and carried it over into overtime. 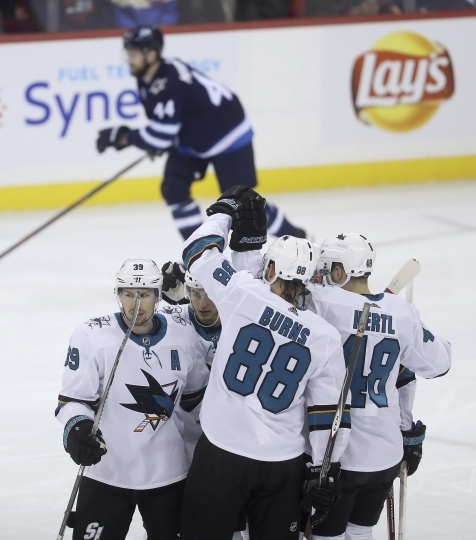 Soon after it was over, the Sharks were called for too many men 1:20 into the extra time. 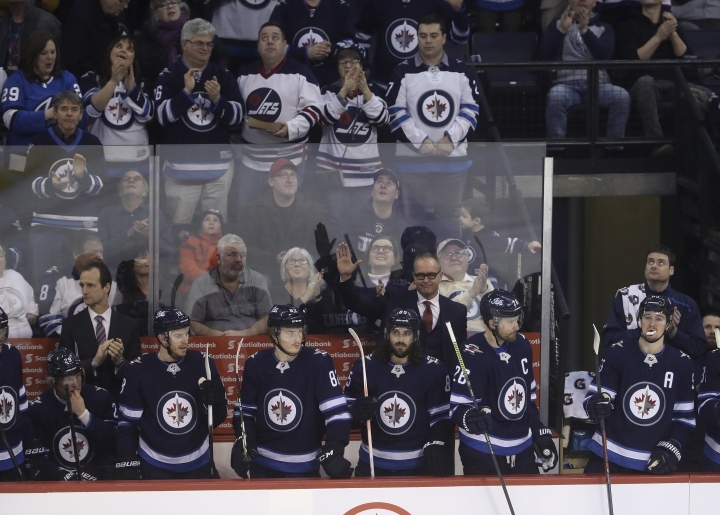 Jets head coach Paul Maurice, 52, reached a milestone by becoming the youngest coach in NHL history to hit 1,500 games (682 wins), and the sixth coach to achieve the mark. "It was a nice lead-up to the game," Maurice said. "I got an awful lot of texts from close friends and people around the league, so I appreciated that a lot." Maurice had no update on defenseman Josh Morrissey, who was hit in the leg with shot in the first period. He returned briefly to skate around just before the second period began, but left and didn't return. 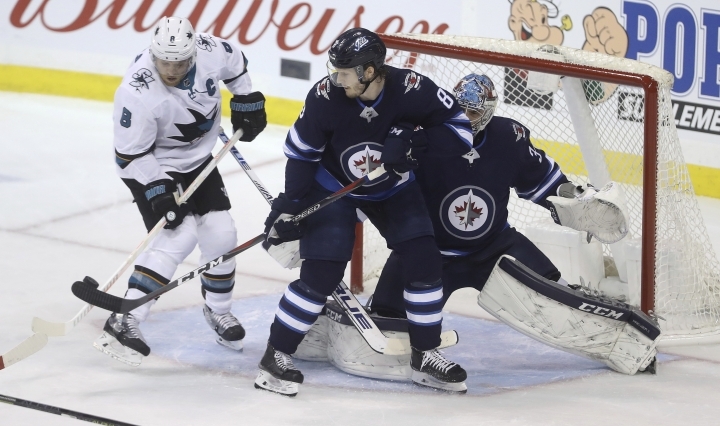 NOTES: The Sharks were 1 for 3 on the power play and the Jets 0 for 5. ... Maurice and San Jose head coach Peter DeBoer go back a long way. Maurice was a second-year head coach for a Detroit junior team in 1994 and DeBoer was his first-time assistant. DeBoer was coaching his 300th game for the Sharks on Tuesday and 794th overall NHL game. Sharks: At Calgary on Thursday. Jets: Open a three-game trip in Montreal on Thursday.